Since Daniela Bascuñan joined Peach, we have fielded questions from stylists and clients alike, excited to learn more about our new Fashion Design Director. Recently, we sat down with her to discuss everything from where she grew up, to her design background, to what inspires her. We also covered the upcoming launch of her first Peach collection this fall. I was born in Chile, in the resort town of Viña Del Mar. We traveled a great deal as a family while I was growing up. I came to the U.S. for the first time when I was two years old, but did not settle here permanently until I was twelve. My mother is from Florence, Italy so I grew up speaking Spanish and Italian, and I have fond memories from several summers we spent in the Italian Riviera as a child. 2. 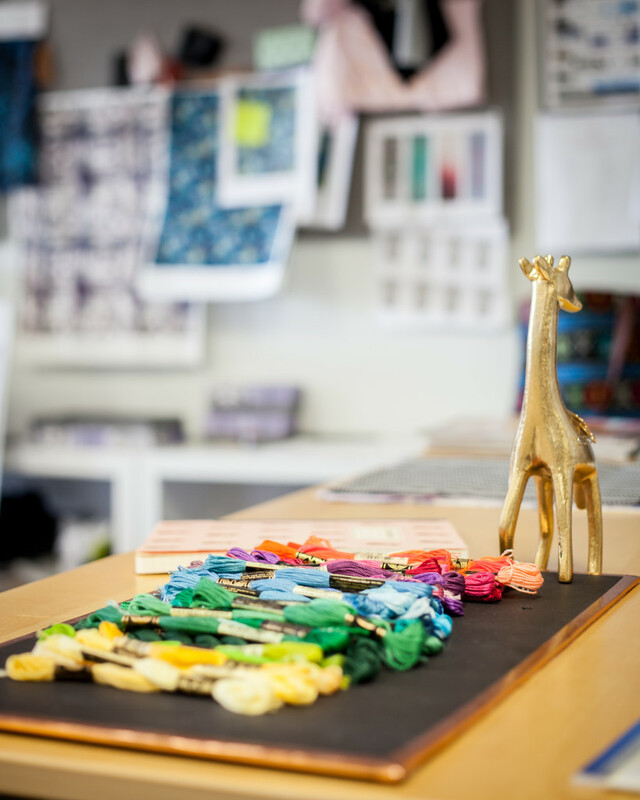 When did you know you wanted to be a fashion designer? It sounds funny to say, but I’ve always known. From a very early age, I was surrounded by fashion and style. Both of my grandmothers were incredibly stylish. My maternal grandmother was very sophisticated and loved fashion. I can remember flipping through fashion magazines with her when I was just three years old. My paternal grandmother had a very Spanish, bohemian style. I think my personal style is a mix of both of them. I can remember being drawn to the different colors and styles of the cultures and places we visited. Additionally, it was very common in Chile to go to a seamstress to have your clothes custom-made. One of my favorite activities was going with my grandmother to the fabric store, selecting my fabric, and then going to the seamstress and telling her exactly how I wanted my dress to look. I remember how excited I would be to wear something I had designed! When I was twelve years old, I vividly remember someone asking me what I wanted to be when I grew up at our family Christmas party. Without hesitation, I said a fashion designer. This was the first time I verbalized it. From then on, I’ve never had a plan b. I knew I would go to art school and study fashion. I knew I would become a designer. Fast forward many years, and I ended up attending Massachusetts College of Art right here in Boston and have worked in the industry ever since! 3. 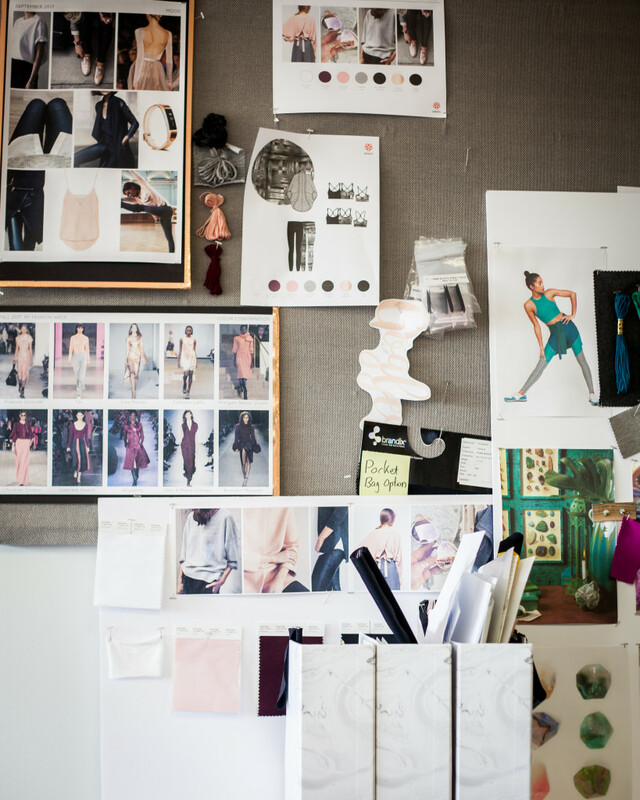 Where do you find your inspiration as a fashion designer? I find inspiration from the world around me. I find myself drawn to architecture and different cultures; traveling is a huge source of inspiration for me. For instance, I might see how the color of a door contrasts with the wall or the flowering plant next to it. From here, my mind starts dreaming of color palettes, I start visualizing a collection, and I start putting it together. Additionally, I have been a bookworm since I was a small child. This can inspire a collection idea as well, either from the actual book cover (Admittedly, I do judge a book by its cover!) or from the actual story itself. 4. Your career includes working at top intimate and athletic apparel brands like Spanx, Victoria’s Secret, Under Armour, and L.L. Bean. How would you compare your experiences here to your experience at Peach? When I joined several of these companies, they were much smaller and did not have the brand recognition they have today. In some cases, I joined a small design team; in other cases, I was the team. For instance, Victoria’s Secret was well established as an intimates brand, but it was just launching its sport line. Similarly, at Under Armour, I joined the small team responsible for launching their women’s line. As a result, there is a lot of overlap between these roles and Peach. I am still focused on athleisure and sports apparel products. I am working on a small team committed to helping the company achieve its big growth goals and to build brand recognition in the market. I feel an incredible sense of ownership because there is so much riding on my work and my designs. Each day, I am energized by the challenge. 5. What do you consider your greatest design achievement to date? When I am walking down the street or at the airport and I see someone wearing one of my designs, it is thrilling. The twelve year old inside of me comes out as I think “wow, people are wearing things I designed!” I love seeing my art in the market. And, in some cases, it has been years since I worked at the company and my design is still one of their best sellers! 6. Your first collection as Fashion Design Director at Peach will launch this fall. What can we expect? I found my inspiration from the world of ballet. I wanted the fall collection to feel sophisticated, feminine and with a slight edge. Our clients and stylists can expect pieces that work beautifully together as layers to mimic the look and feel of a ballerina when she is working out. I was able to capture the edge of the collection by incorporating black into our color palette and infusing modern interpretations into our silhouettes. Additionally, gray is a foundation color for our fall palette, inspired by New York City architecture and the concrete that surrounds the city. We’ve complemented these neutrals with blush and wine tones as well as small pops of metallic rose gold. All are trending colors in the world of fashion design for fall and all reinforce the feminine side of this collection as well as the Peach brand. I have been living and breathing this collection 24/7 since joining Peach. I hope when our stylists and clients experience it, that not only do they fall in love with it, but that they notice the amazing fabrics. I was able to bring on board some of the best fabric mills, in time for our launch. I hope she notices the silhouette and design details and how this adds beauty into wardrobe pieces she can wear everyday. 7. What does a typical day look like at the Peach home office? One of the things I love most about my job is that there is no typical day in the world of fashion. The global nature of my role means I typically start the day early on email to ensure ideas can be exchanged, despite the time differences. I love making lists and setting goals for what I want to accomplish that day. What I work on is driven by where we are in the creative process. I can be doing anything from creating the color palette for an upcoming season, to selecting a fabric swatch, to approving lab dips, to working with a factory on shipping logistics for a photo shoot. I enjoy spending my lunchtime reviewing stylist and client feedback and brainstorming future collections. You can usually find me in a quiet spot in the office perusing our social media channels or pinning inspirations to my private Pinterest board. 8. You said you were a bookworm. What book are you currently reading? 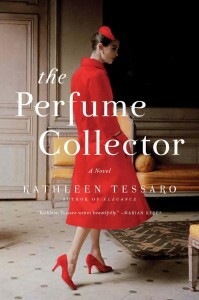 The Perfume Collector by Kathleen Tessaro. It is a wonderful story that takes place in Paris and gives a behind the scene account of the perfume industry. 9. When you think of top fashion designers, whose work do you admire? I love Valentino for its interpretation of the fantasy world in fashion. I find myself drawn to Stella McCartney and what she has done in active wear. She was one of the first high-end designers to play in this space and I have been following her ever since. I also find a lot of inspiration for color stories and prints from home décor blogs including The Jungalow, Elle Décor, and Apartment Therapy. I have an eclectic closet filled with clothes from Anthropologie and Barney’s, J.Crew basics, and then pieces I collected through my travels. I’ve of course incorporated everyday pieces from Peach. I aim for a sophisticated look, with a bit of Boho mixed in. See the latest Peach collection. Connect with us on Facebook and Instagram. Gracias Pedro por tu apoyo! Wow, good for you! I am proud to call you my friend. I will live through you. I enjoy your posts from around the world. Please, keep posting. Congrats for living your dream. What a great role model you are for future fashionista. You should be very proud of yourself for reaching and living your dream. Thanks for sharing. Hugs. Thank you Cheri for reading and your support! Daniela and all of us at peach are very happy to be on this journey together. Much success to you and your team. Gracias Quena and Enrique! We are excited for the new collection too. Congratulations, Daniela! A wonderful and inspiring interview. Thank you Thea for reading!